With atmospheric on-site footage from historical and biblically significant landmarks, Jeff Lucas creates a four-part DVD study built on material from his recently published book of the same name. Designed for small groups as well as for individuals, its informative and engaging filmed content, commentary and reflections trace the footsteps of history's most famous and flawed strongman, Samson. In his gentle, conversational style, Jeff asks the vital questions for men and women today about how we address that mixture of strengths and weaknesses that defines us as individuals and still find a sense of destiny for our lives. Helping you avoid the common traps that cause us to squander the blessing of God, he shows how God transforms and uses our worst failures, even when we feel disappointed with others. 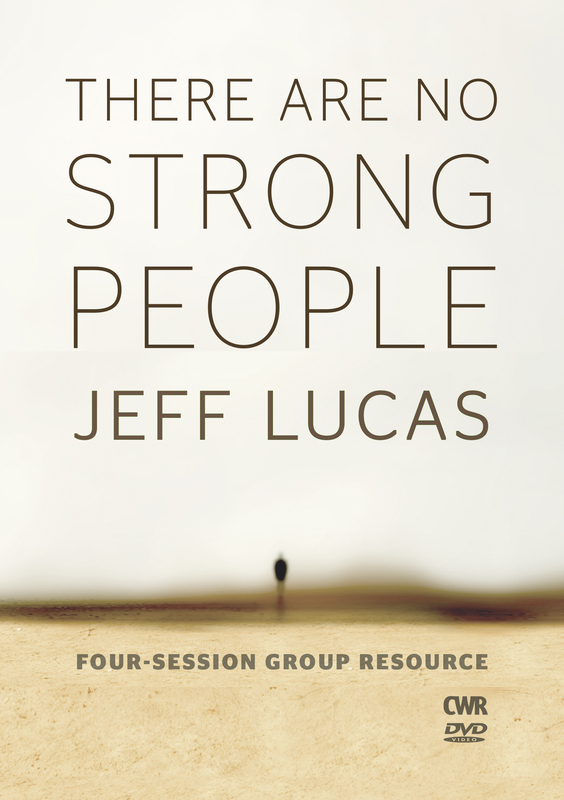 Each of the four sessions end with on-screen questions for private reflection or group discussion that will benefit even those who haven't read the original 'No Strong People' book, bringing the story and significance of Samson alive in a fresh and relevant way. This is a Region 0 DVD that will play on UK DVD players. 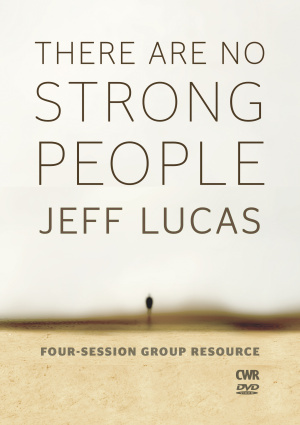 There Are No Strong People DVD by Jeff Lucas was published by CWR in March 2013 and is our 4500th best seller. The ISBN for There Are No Strong People DVD is 5027957001466. Be the first to review There Are No Strong People DVD! Got a question? No problem! Just click here to ask us about There Are No Strong People DVD. How do we all embrace a sense of destiny for our lives, knowing that we are a mixture of strengths and weaknesses? Are there common traps that we should avoid, so that we don't squander the blessing of God -- and what does God want to do with our worst failures? Does being a giving, peaceable person really make for a better life, especially when we are disappointed with others? We often hear of Christians stumbling into immorality. What steps can we take to make sure today that this doesn't happen tomorrow? The four-part DVD is designed for use by small groups or individuals and each session ends with on-screen questions for group discussion. Whether or not you?ve already benefited from reading the book, this DVD will bring the story of Samson alive in a fresh way. Each session is approximately 15 minutes long. • How do we all embrace a sense of destiny for our lives, knowing that we are a mixture of strengths and weaknesses? • Are there common traps that we should avoid, so that we don't squander the blessing of God - and what does God want to do with our worst failures? • Does being a giving, peaceable person really make for a better life, especially when we are disappointed with others? • We often hear of Christians stumbling into immorality. What steps can we take to make sure today that this doesn't happen tomorrow? There are No Strong People from CWR on Vimeo.